If Capcom ever decides that they're done with Mega Man, someone will carry the torch. Whether it's tireless fan creators or the father of the Blue Bomber himself, the Mega Man community is one of the most passionate collectives I've ever seen in the gaming industry. Not content with rebooting his creation entirely with Mighty No. 9, Inti Creates has crafted a love-letter to Mega Man ZX, and the 8-bit era. If Azure Striker Gunvolt is anything to go by, I hope that passion lives on for quite a while. Right off the bat Azure Striker lets you know that it has its own style, and isn't afraid to flaunt it. In the future, an organization called the Sumeragi Group has attempted to imprison (and experiment on) all of the super-power wielding individuals in the world. Of course some of those supers aren't having it, and Quill is formed -- a team whose sole goal is to destroy Sumeragi, which includes the titular Gunvolt. It's a clear "good and bad" situation -- there's hardly any nuance to it. The fun begins after the first mission, which causes a rift in Quill. Gunvolt is tasked with breaking into a compound and destroying Joule -- a 13-year-old creation of Sumeragi. Volt refuses, and instead hides her away in his apartment, leaving his crew. He starts taking odd-jobs to support his new mercenary lifestyle, which is when things hit the fan and the adventure begins. All of this is presented in a comicbook-like fashion with stylized dialog boxes and flashy characters. There's a lot more story here than I expected to flip through, but if you really want to skip it and get on with the action, you can simply press start. While the overall narrative didn't really wow me that much, I enjoyed the interaction between Gunvolt, Joule, and a few of the boss characters, which I'll get to later. 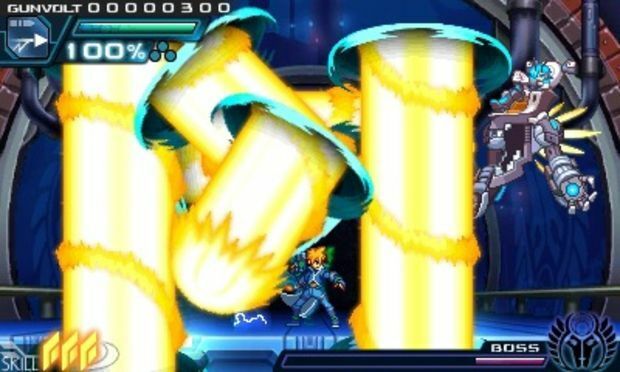 Visually, Gunvolt is striking (ha!). It looks like it's straight out of the DS era, but more fine-tuned, modernized, and of course, with a kicking but not overbearing 3D effect. Even with tons of explosions happening on the screen Gunvolt can glide with ease without a real drop in framerate -- which is good, because things can get pretty technical. The gameplay feels a lot like the X or ZX series, which is a great thing. 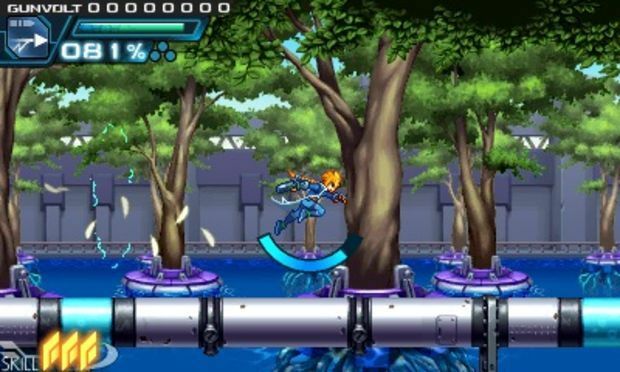 Gunvolt can dash, cling and jump on walls, shoot a standard gun, and Flashfield. That last mechanic is where he really shines and differentiates himself from his predecessors. You see his gun does a minimal amount of damage, but his real punch comes from "tagging" enemies with it. Depending on the weapon (the default is three tags), you can tag an enemy a certain amount of times, and prime your Flashfield to rip through and cause giant strings of electricity to home in and do some real damage. Those three tags are all separate -- you can tag one enemy three times, three enemies once, or split between two enemies, and so on. Your Flashfield is also used as your glide, which can navigate you over some tricky spikes or bottomless pit situations. It's very, very cool during some particularly tough stages, as gliding around and tagging everything can get very technical and rewarding. Dashing and wall-jumping feels tertiary to Flashfield, but they're nice abilities to have. Bottom line, the game's core "Flash" idea is fast, fun, and different. Azure Striker also has another major mechanic, which I'm a bit torn on. Simply put, your Flashfield has a meter of sorts (EP) that you have to watch, lest you "overheat." Another skill also shares this meter called "Prevasion," which lets you dodge nearly any attack in the game simply but not using Flashfield. Yep -- you can avoid nearly every attack in the game, including boss attacks, by standing still or moving about. It's your "oh snap" last resort and an offensive measure depending on how you use it. Personally, I think it trivializes some levels. There are some puzzles where you need to switch between Flashfield and Prevasion on a dime to glide and dodge respectively (like one area where you need to light the way with the former, but save the latter in case you take an unexpected hit), but the fact that most enemies are completely negated by Prevasion feels weird, and you can skip some areas without issue. It wouldn't be so bad if your meter took a while to charge back up, but you can press the down direction twice to instantly "charge" yourself an infinite number of times. It's also odd because Flashfield can negate many projectiles on its own. Ultimately though you can turn it off by removing it from your equipment slot, and platforming newcomers will probably enjoy it. Of course there's also that classic stage-select mechanic, which lets you choose the order you want to progress through. The themes of each level are familiar, and the designs wear their inspirations on their sleeve. To give you a good idea of what I'm talking about, one of the levels is a dead ringer for a mash-up of the intro level of Mega Man X5, and X2's Wire Sponge -- that's a compliment. Cool concepts are littered about, like the aforementioned dark areas that must be lit by Flashfield, platforms that shoot you into the air, and door puzzles. It's a shame that the enemies aren't as varied, as some of the same sets are used in nearly every single stage. Unlike the standard baddies though the bosses ooze charm, and are easily my favorite part of the game. 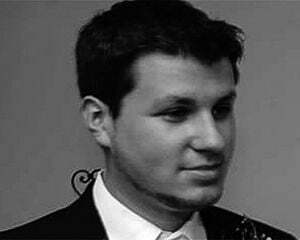 For example, one is a lazy gamer personality who likes to play Realms of Robocraft, and only engages you when he absolutely has to. Another speaks in "Ye Olde English," one has a split personality disorder (literally), and of course, you have your token lunatic. Each fight is vividly memorable, and I can play out every encounter in my head as I write this review. If you like good boss encounters, play the game just for these. The only letdown is towards the end there are a few re-used minibosses in the "Wily" levels, as well as yet another use of the "boss gauntlet" concept. So what can you do besides rip through levels? At the end of every stage you'll have your apartment to comb through, which lets you look at and select challenges (optional achievements), customize and sell items, talk to Joule (which gives you more personal story bits and a chance to have her revive you during levels), and save your game. Each zone also has a hidden jewel that you can find and gift to Joule, and I won't ruin what they do. It took me approximately three hours to complete the game the first time around, finding half the jewels, but I plan on speedrunning it very soon, and tinkering around with the score attack mechanic (made possible by the deep "Kudos" combo mechanic). 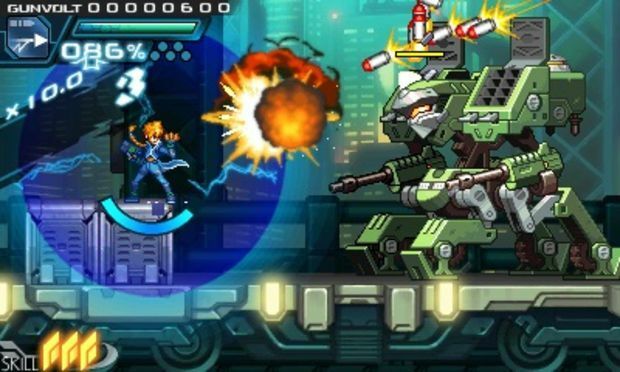 Just like Mega Man ZX had the 8-bit style Model (a) minigame, Azure Striker comes packed with Mighty Gunvolt -- a completely separate download that you can nab for free for a limited time. It only has five levels, but with three total characters to play, it'll last you a little while, and is one of the best extras I've seen in some time.